FORT WORTH, Texas, March 1, 2017 /PRNewswire/ -- Olympus Property and Artemis Real Estate Partners are proud to announce the closing acquisition of their 4th multi-family joint venture, the Keller Portfolio. 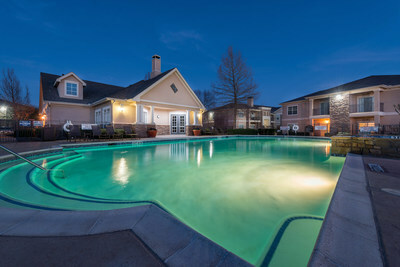 These three Class A properties consist of 679 units in the upscale city of Keller, a Dallas -Fort Worth suburb. The Stoneleigh Companies originally developed these three properties, which Olympus Property and Artemis purchased from Stoneleigh. These three Keller properties have been rebranded as Olympus Town Center, Olympus Stone Glen, and Olympus Waterford effective immediately. 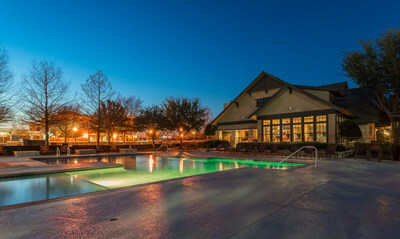 Due to scarcity of land, rising construction costs and increasing restrictions on multifamily development in Keller and surrounding communities, the premier Keller / Southlake submarket offers residents a family friendly community with premier schools, easy airport access, and a central location between both Dallas and Fort Worth. 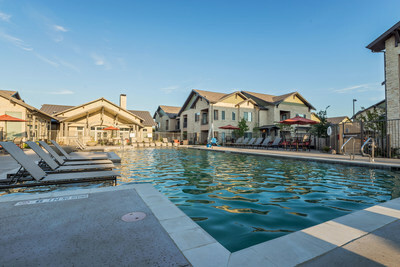 "As a former Keller resident, I can truly tell you it's a phenomenal place to live and these three properties are in prime locations in Keller," said Anthony Wonderly, Principal of Olympus. The Keller / Southlake submarket features a plethora of nearby job drivers, including the nearby regional economic powerhouse known as Alliance Texas, a master-planned development spanning 18,000 acres, employs 44,000 people. Nearby these properties in Westlake are the corporate campuses of Schwab, Deloitte and Fidelity employing an additional 2,500 people. "Keller is a strong rental market with the Portfolio representing some of the best locations and highest quality assets in the submarket. The Portfolio is ideally positioned to offer residents seeking top schools, great amenities and proximity to employment centers a variety of options across the three properties," said Liah Chin, Vice President at Artemis. To learn more about diversifying your portfolio with Olympus Property, please contact Braden Barr at 817-505-0528 or at Braden.Barr@OlympusProperty.com. Olympus Property, founded in 1992, is a fully integrated real estate investment firm based in Fort Worth, Texas. Over its 24-year history, the company has become a successful and recognized name in the multi-family industry. Olympus currently owns and manages over 14,000 units across 8 states including Texas, Florida, Oklahoma, Arizona, Tennessee, Georgia, New Mexico, and California. Artemis Real Estate Partners invests with best-in-class local operating partners, both established and emerging, in multifamily, office, industrial, retail, hotel, and senior housing across opportunistic, value added and enhanced core strategies. Artemis has raised over $2 billion of investor capital across two commingled value-add/opportunistic fund vehicles, one commingled core plus healthcare real estate fund, and a series of emerging manager separate accounts with The New York State Common Retirement Fund, New York City Retirement Systems and the Illinois Municipal Retirement Fund. The firm is headquartered in the Washington DC metropolitan area with offices in New York and Los Angeles. Artemis's sole focus is U.S. commercial real estate. For more information on Artemis Real Estate Partners, please visit www.artemisrep.com.